Wondering who you need to know and what you need to do to go overseas or start your own import business? We’ve got you covered. Kentucky has made a major push to encourage small businesses and entrepreneurs to explore foreign markets. From the Kentucky Export Initiative, Global Cities Initiative, and Federal Grants to help fund your efforts, time has never been better to start selling to or creating a your own business with products abroad. 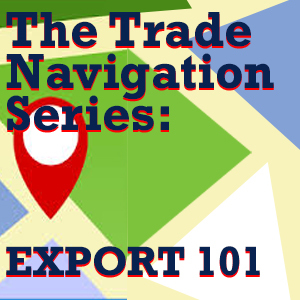 Our half-day primer will provide everything needed to classify and properly prepare your product or service to safely start importing / exporting. We’ll also connect you with local resources to make the process easy. NOTE: This is a hands on workshop so please bring your product samples, ideas, and computer so we can get you and your business idea tee'd up for global markets.